Surgery to improve blood flow in left leg expected to sideline Sardinian for several months. At least now Fabio Aru knows what’s been slowing him down. UAE-Emirates announced Sunday that the Italian star will undergo angioplasty surgery to improve blood flow in the iliac artery to his left leg. That means Aru will miss planned starts at Monday’s Volta a Catalunya and the Giro d’Italia, and is expected to be sidelined for months. The 28-year-old has been dogged with a string of frustrating performances that saw him consistently produce below-normal power numbers in intense efforts. Following a sensation of weakness in the left leg, Aru underwent a battery of tests that revealed a “constriction of the iliac artery in his left leg that prevents an adequate blood supply when trying to make a maximum effort. This problem and resulting drop in power during the Sardinian’s most intense efforts limited his performances,” a press release stated. 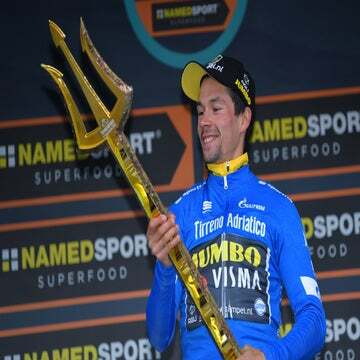 Officials are hopeful surgery in the coming days or weeks in Prato, Italy, will help Aru get back to the rider who won the 2015 Vuelta a España. Aru expressed a mix of frustration and relief at the diagnosis. Officials have been trying to figure out what’s been giving Aru so many problems. After holding the yellow jersey and finishing fifth overall in the 2017 Tour de France, Aru made a high-profile move from Astana to UAE-Emirates. 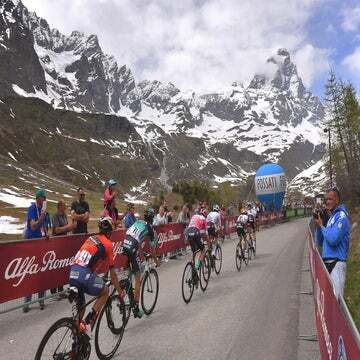 His debut season with the team was a rough ride, and he was forced to abandon last year’s Giro and struggled through the 2018 Vuelta. Despite optimism coming into this season, Aru recently was feeling weakness in his left leg following intense training and race efforts when he would go all-out. UAE-Emirates team doctor Jeroen Swart said Aru was having difficulty producing his projected power numbers in both training and competition. Tests discovered problems with the blood flow to his left leg, something doctors said would require surgery. Angioplasty surgery is a relatively low-invasive operation — when doctors pass a catheter “balloon” via arteries to open blockage or increase blood flow — but doctors say Aru will need at least one month off the bike. Team officials are hopeful Aru can return to competition within three or four months, giving him hope of racing again before the season is out.